Fortunately, the CEO and board were on the same page, and Nash was eventually named CIO and tasked with leading the selection process for a new EHR system. 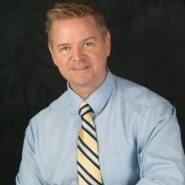 But the road hasn’t been without its share of bumps, according to Nash, who recently spoke with healthsystemCIO.com about what it has taken to help set the stage for a new EHR system at Citrus Valley, the importance of setting (and managing) realistic expectations, and the mantra he always tells his team. He also discusses CVHP’s dramatic financial turnaround, and breaks down how they eventually selected Meditech 6.1.6.
Who is making the choice? Is it the folks that sit in the boardroom, is it folks that sit at the executive team, or is it the physicians and the clinicians and the people that use it every day? It took a tremendous amount of time because we wanted to make sure our physicians got to see both products. They’re the ones who are going to use it, and so we wanted their input. If you’re going to do this, support it. You need to have the at-the-elbow experience for the physicians for the first month of go-live on the floors. They shouldn’t have to worry about not remembering how to do something. There’s always somebody who wants to do it cheaper, and it’s my job to determine which ones to look into. It may be cheap but is it as good or good enough? And that’s the key. Gamble: Right. Going back to the EHR, how did you and the team worked toward a final decision? Nash: We went through the process. We did a full RFP on Epic, Cerner, Allscripts and Meditech to submit proposals. One of the key things you need to do when you’re choosing any EHR vendor is identify your priorities. How are we going to make the choice? Who is making the choice? Is it the folks that sit in the boardroom, is it folks that sit at the executive team, or is it the physicians and the clinicians and the people that use it every day? So we truly vetted all the vendors, and we did a TCO on all four of them to figure out how much it would cost with each one. Because of our patient mix (which includes a large portion of Medicare/Medicaid patients), we had to eliminate Epic. It’s a good product and a good company, but when we looked at the cost structure, it just didn’t make sense. And so we cut them out before we started with the demos, and we eliminated Allscripts, which left us with Cerner and Meditech. We did TCOs and demos with both those companies, and went through the whole process of getting input from the users. It took a tremendous amount of time because we wanted to make sure our physicians got to see both products. They’re the ones who are going to use it, and so we wanted their input. Now, at this point, I knew Meditech was developing the Web Acute product. They’d already rolled out the Web Ambulatory product and I liked what I saw in terms of functionality. I knew the goal was, ‘let’s make this as easy as Amazon,’ which pretty much every physician uses. And so the thinking was, why don’t we have an EHR vendor that’s doing the same thing? And so Meditech developed a Web Acute product, which was piloted at Henry Mayo Newhall Hospital. We had a chance to speak with Cindy Peterson (who was then the CIO) about their experience. I had also had experience with a Meditech 6.0 implementation several years back, so I was familiar with them as well. Cerner is also a great product, but our CFO had some concerns with the revenue cycle capabilities; our A/R days are sitting right around 43 right now on an old Magic platform, whereas other hospitals were up to 55 or even 105 days in one case. To him, that was unacceptable, but we wanted this to be a decision from our clinicians. The nurses liked both products, so we did a demo where we brought both venders in. We split our conference center in two, with Cerner was on one side and Meditech on the other, and we got as many physicians as we could to go to both sides and weigh both products. The chair of our physician advisory council found the Meditech screens to be more user-friendly, but was nervous that the Web-based product was so new and he didn’t have a chance to really ‘test-drive’ it. We also had super users who made the case for Cerner, so it was tough. Gamble: Right. I guess it really comes down to usability. Nash: Absolutely. Remember, this is just a tool. I’m an IT guy so I sit in front of technology all day long. They sit in front of patients all day long. This is just an extension of what they have to do to document their care, and so it has to be as easy for them as possible. That’s the key. The other thing you have to factor in is support. Some of the physicians had told me about a CPOE install years earlier where leadership cut out support as soon as it went live. You can’t do that, because then you have a bunch of physicians who are really angry because they don’t know what they’re doing — or they’re doing it wrong. I kept hearing that over and over again: if you’re going to do this, support it. You need to have the at-the-elbow experience for the physicians for the first month of go-live on the floors. They shouldn’t have to worry about not remembering how to do something. And it can’t be a nurse who has a full unit; it has to be dedicated resources who can answer questions. If you don’t do that, you’ll never be successful. Spend the money now or you’ll be spending it later. Eventually, the physician advisory chair told me they wanted Meditech, but they also wanted at-the-elbow support at go-live. That was important, because it came from physicians, and not from IT. They need to hear from the users. It’s like I tell my CEO — I’m just a quarterback. This is not an IT project, and it’s not a technology change. This is an organizational change. Gamble: I’m sure it’s important having the CEO and CFO in your corner. Nash: Yes, and the board. 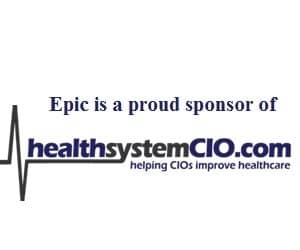 I was at a conference recently where the keynote speaker said, ‘Remember, a patient doesn’t choose a hospital because it has Epic.’ And it’s true. The patient doesn’t care what kind of EHR you have, the patient just wants care. I’ve never walked in and said, ‘do you have Epic? Because if you don’t, I’m going to go down the street.’ It’s ‘do you have the best doctors and the best care?’ The tool that’s being used is irrelevant to me as long as I’m getting the care I need. Gamble: Okay. So now what are the next steps in terms of the migration? Nash: So, of course we ended up choosing Meditech 6.1.6, the Web-based solution, and we’re looking to go live early in 2019. But it’s not a migration; it’s a brand new install. The only thing we’re migrating is historical data, so that we can bring over our full billing revenue cycle and all of laboratory so that we have discrete data there. In terms of the setup of each module, it will be a brand new standard best practice install. Gamble: Have you had to manage expectations with leadership and help them understand that although it’s the same company, this is a brand new install? Nash: Yes. And actually, I asked the CEO to do a video to set the tone for the organization that this is an opportunity for change; that we’re not going to just walk in and rebuild what you have today. I got the idea from when I was with Providence Health — it was really effective in communicating that we’re going to do it right, and for the right reasons. It’s also educating the organization that any decision to divert from the best practice standard requires a signature from the CEO, CFO, and myself. When I spoke with the steering committee, I told him it’s their purview to review these before they go to the executive team for sign off to make sure we’ve done our due diligence. And if the answer is ‘because I’ve always done it this way,’ it’s not going to go anywhere. Gamble: That’s really important. The last thing I wanted to touch on was it was like to be part of an organization during such a dramatic financial turnaround. Was it difficult to continue to make the best decisions while being so aware of the need to cut costs? Nash: I like to tell our CFO (Roger Sharma), ‘I always bring you something when I ask for something.’ What I mean by that is I’m all about building a business case and a return on whatever investment we’re doing. Sometimes the business case may not be giving him a return, but it’s about risk. It’s not my job to make the decision; it’s my job to give him the information he needs to vet. Because when you’re talking about finances, it’s ‘these are the risks you’re assuming or agreeing too if we don’t do this.’ Have that conversation about the pros and cons of any business decision is something the CFO and CEO has to do every day — why am I not held to those same rules? So you walk through it and you decide what’s the best for the organization. And beating up a vendor is not necessarily my favorite pastime, but there’s always somebody who wants to do it cheaper, and it’s my job to determine which ones to look into. It may be cheap but is it as good or good enough? And that’s the key. Gamble: That makes perfect sense. I think we’d all love to drive a Tesla, but it’s not necessarily what we need. Well, I want to thank you so much for your time. This has been a great discussion, and I hope we can speak again soon. Nash: Sure. Thank you, Kate.